About 80 percent of adults experience back pain during their lifetimes, according to the National Institutes of Health. The study, published in Health Services Research, found that those who saw a physical therapist at the first point of care had an 89 percent lower probability of receiving an opioid prescription, a 28 percent lower probability of having advanced imaging services, and a 15 percent lower probability of an emergency department visit – but a 19 percent higher probability of hospitalization. The authors noted that a higher probability of hospitalization is not necessarily a bad outcome if physical therapists are appropriately referring patients to specialized care when low back pain does not resolve by addressing potential musculoskeletal causes first. These patients also had significantly lower out-of-pocket costs. “Given our findings in light of the national opioid crisis, state policymakers, insurers and providers may want to review current policies and reduce barriers to early and frequent access to physical therapists as well as to educate patients about the potential benefits of seeing a physical therapist first,” said lead author Dr. Bianca Frogner, associate professor of family medicine at the University of Washington School of Medicine, and director of the UW Center for Health Workforce Studies. Frogner said individuals in all 50 states have the right to seek some level of care from a physical therapist without seeking a physician referral, however, many do not take advantage of this option. She said this may be because some insurance companies have further requirements for payment. About 80 percent of adults experience back pain at some point during their lifetime, according to the National Institutes of Health. 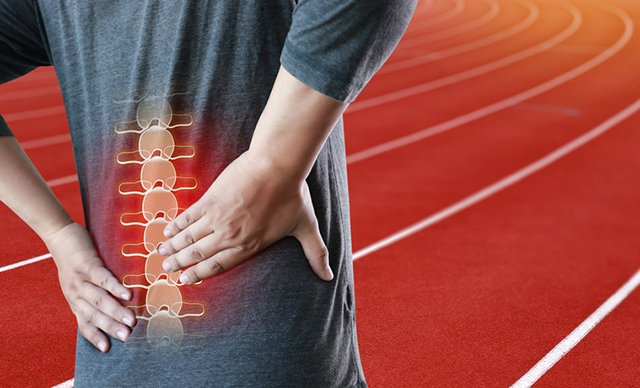 Using an insurance claims dataset provided by the Health Care Cost Institute, the researchers reviewed five years of data of patients newly diagnosed with low-back pain who had received no treatment in the past six months. The claims were based in six states: Washington, Wyoming, Alaska, Montana, Idaho and Oregon. The study was funded by the Health Care Cost Institute State Health Policy Grant Program and the Laura and John Arnold Foundation. “This study shows the importance of interprofessional collaboration when studying complex problems such as low back pain. We found important relationships among physical therapy intervention, utilization, and cost of services and the effect on opioid prescriptions,” said Dr. Ken Harwood, lead investigator for The George Washington University. A similar study published in April in Physical Therapy aligned with these findings. A three-article series in The Lancet on low back pain, also published in April, reported that too many patients are treated with surgery and pain medication as first-line treatments rather than more beneficial therapies employing exercise and cognitive behavioral therapy.